Readers of Conde Nast Traveler praise Israel's international airport for its accessibility and security. 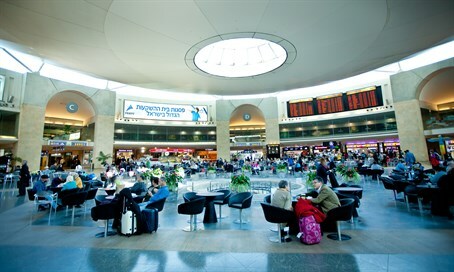 Tel Aviv's Ben Gurion Airport has been named the fourth best international airport in the world, according to Conde Nast Traveler's annual Reader's Choice Awards. With a Readers' Rating of 73.414, Ben Gurion Airport falls short of the top slot by ten points to Changi Airport Singapore. According to Conde Nast Traveler, Ben Gurion Airport can attribute its high score to its easy accessibility as well as top security. "Named after Israel's first prime minister, this airport's highest score was for easy access from downtown Tel Aviv, nine miles to the north west. Known primarily for being one of the world's most secure airports, 15 million passengers passed through here in 2014 and it has consistently won awards for best airport in the Middle East." "The country's national carrier, El Al, is the top dog here."